You know that it’s the main ingredient in a classic martini and it’s vital to the iconic gin and tonic, but do you really know gin? It’s a diverse distilled spirit that is noted for its pine flavour thanks to juniper berries, which are the main ingredient. Yet, there are a variety of styles of gin, from the famous London dry gins to old-school styles like genever and Old Tom to modern gins like Hendrick’s that stretch gin’s definition. Gin is fascinating and the botanicals in each bottle give you a new experience with every sip. Why Choose A Gin Class?? Unless you have been walking around with your eyes closed for the past year you will be aware that Gin bars have been popping up everywhere, local pubs have become ‘gin specialists’ and the shelves of your local shop now stock more than just standard gin. Gin is literally all around you! Gin is now one of the nation’s number one choices. We have taken the greatness of its popularity on board to bring to you our very own Gin cocktail masterclass. The perfect treat for any Gin loving hens. 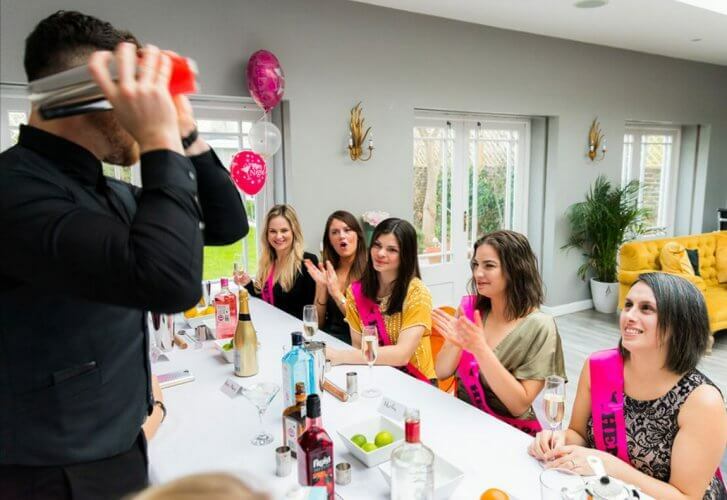 If you want to add a personal touch to your hen party then this is the ultimate activity for you. One of our gorgeous mixologists will come to your choice of venue. Whether its a hen house, a hotel room or your very own home (hoteliers permission must be gained in advance) He will be equipped with everything you need to make and taste 3 Gin cocktails. Mr Muscles will talk you through a brief history of gin before guiding you through how to make 3 popular Gin cocktails and will be on hand to assist you throughout. For an additional cost, you can add a butler in the buff into the mix to help serve the Gin cocktails, play games with the group and generally bring a bit more eye candy to the party! 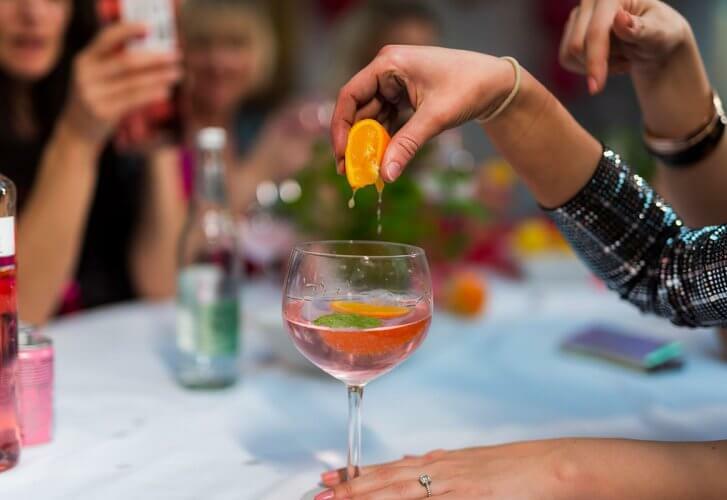 Guaranteed to be fun, exciting, tasty and even educational – our mobile cocktail masterclasses have a reputation for being one of the UK’s favourites. Our 2-hour class can be held at any type of venue, such as private functions, rented apartments, your own home or even in a hotel room (Subject to the hotelier’s permission). We save you the journey and bring the party to you!